At a working meeting with Russia’s President, Moscow Region Governor Andrei Vorobyov updated the President on the socioeconomic development of the region, presidential web page reported. According to the Governor, in 2018, RUR 817 bln ($12.5 mio) and about $1 bln had been invested in the fixed capital of regional companies. Economic zones and industrial parks and respective infrastructure have been established. Medium-sized agricultural companies, dairy and cheese producers primarily, receive subsidies for infrastructure development, thus fueling investments by some 15%. More new jobs will be created in 2019, the Governor said. Germany’s Daimler and Mercedes built a passenger car plant in an industrial park in Solnechnogorsk County and plan to launch it in April. 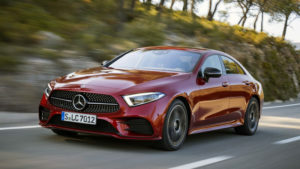 It is the first Mercedes plant not only in Russia but also in Eastern Europe, intended to roll out some 40,000 cars of four models annually.